An amazing catch by the Atlantic this week on NBC sitcom Community‘s festivus-unloading on Glee. I’m not sure their analysis that the two very different shows’ similarity is quite as convincing–Community has a self-awareness that Glee has never touched, nor tried to, as well as relatable characters, relatable backstories, relatable conflicts. No need to get hot about the whole thing–as much has been said about Glee already. The gauges by which the article validates both shows is kind of unreasonable–everyone knows that sometimes the least-watched shows are the best ones, and not necessarily because they’re highbrow. 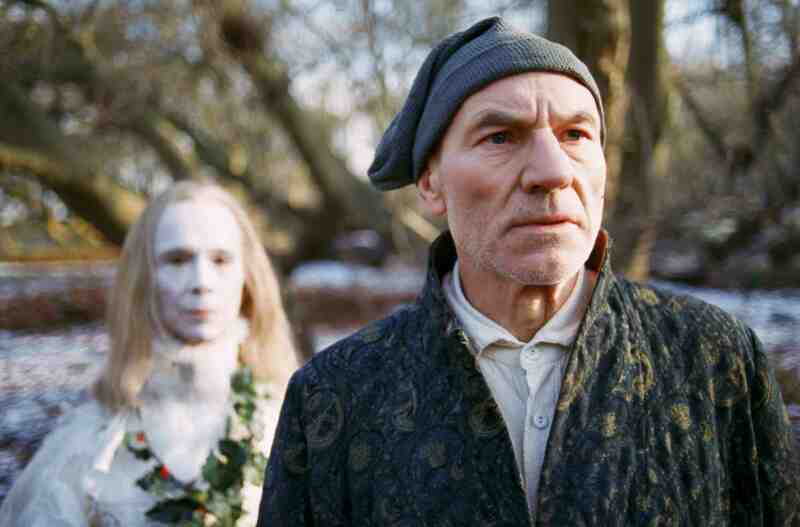 Anyways, that’s not the point Kevin Fallon is trying to make–instead, he’s noticing how interesting it is that the epochal Christmas Episode–any show’s Christmas Episode–doesn’t really do anything special at all to change who and what it is. If anything, Glee‘s Christmas program is more Glee than Glee most of the time–more tinsel, more songs, more colors, MORE! And the same can be said for the “meta” wag and wit of Community–more caricature, more spoof, more squib–more, more, MORE! And what a great depiction of what Christmastide is for people–any people! How beautiful that the Word Incarnate comes to Scrooge in his raillery and fist-shaking at the lighthearted optimists–to the Optimists who sing from the bottom of a pure heart about anything, anywhere. It is a universality of gift rather than a universality of character. You will be you at your parent’s house on Christmas, most likely more you that you would like to admit. You are the character you are–and despite being you the gift of Christmas comes. 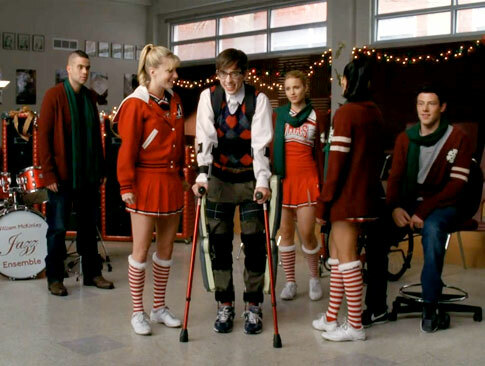 Glee may not have aired its annual Christmas special until Tuesday night, but the show already got Scrooged last week. That was when Community aired its own holiday musical episode, “Regional Holiday Music,” which also happened to be a ruthless attack on all of Glee‘s flaws, a relentless exposing of the show’s most repetitive cliches, and a blistering derision of the show’s popularity. Yes, “Regional Holiday Music” was, as is reliably the case with Community, a sharp, funny episode, while Glee‘s “Extraordinary Merry Christmas” was, as is reliably the case with that show, a wildly uneven mix of creative highs and lows. But, just as Scrooge, with his perfunctory bah humbugs, was blind to the fact that deep inside he actually loves Christmas, Community, for everything it so hilariously skewered about the show, failed to see that it’s actually not all that different from Glee. It took barely a minute for Community to fire at all of Glee‘s easiest targets, and lampoon them perfectly. Greendale Community College’s glee club barges into the cafeteria and begins singing unannounced as part of some infuriating viral marketing scheme for its Christmas pageant. Their performance includes a ludicrous mash-up (of Lil John and Elton John songs) and a hip-hop interlude. They obsess about regionals. (“What the hell are regionals? They never stop talking about them,” quips Chevy Chase’s Pierce.) Joel McHale’s jaded Jeff even channels his best Sue Sylvester and gets regionals canceled. As Glee‘s “Extraordinary Merry Christmas” began, it became all the more apparent how accurate Community‘s spoof was. After an apropos-of-nothing performance of “All I Want for Christmas Is You” complete with garland-and-tinsel choreography, Mr. Schuster makes his grand entrance wearing a red and green, Yuletide-themed vest, and gives a pep talk about why this Christmas will be better than the last. An Irish exchange student is sad about the holidays and therefore sings a song to cheer himself up, “dedicating” it to people who are an ocean away. Somehow the whole thing inspires formerly homeless Sam to take pity on him and become his “Christmas sponsor.” Community couldn’t have invented better illustrations of Glee‘s cringe-inducing, everyone-is-loved-as-long-as-they-sing-a-song motif. And things only got more over-the-top. Artie directs a holiday special for a local access station that is inspired by a 1978 Star Wars Christmas special and shot in black and white in homage to Judy Garland’s classic holiday programs. Only on Glee do those two things go together. But what followed—nearly 20 minutes of a meta holiday special performed by Glee‘s characters—could almost be ruled a send-up of the very thing that Community is known for: Singling out a kitschy entertainment genre and paying tribute to it by recreating its motifs with painstaking accuracy within the confines of the show’s own sitcom world. …So it turns out that as hard as Community worked to prove that it—a clever, ironic, highbrow comedy—is everything that Glee—a populist, cliched, comedy-drama hybrid—is not, the two shows are more similar than they may seem. For better or worse, they are unabashedly themselves. With Community, the better is that unrivaled attention to detail and hyper-intelligent comedy; the worse is that this very cleverness may be why the show attracts barely 3 million viewers an episode and has been taken off the air. For Glee, the better is a show that’s unafraid to use its platform to put the spotlight on issues and, occasionally, classic songs and shows that its audience wouldn’t normally be exposed to. The worse… well, essays have been written about that. This is very insightful, Ethan. A great post all the way around.